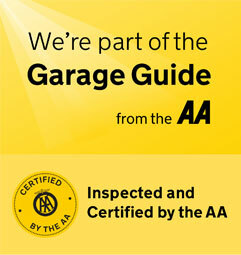 MKL Motors is an AA Certified Service and Repair Centre. We specialize in vehicle servicing, maintenance, repairs, transmission services, and much more. MKL Motors’s qualified team have the experience and the knowledge of service and repair on even the most challenging automotive problems on all makes and models. Our technicians use the latest technology to assess the situation and offer you the most suitable repair options. MKL Motors prides itself on offering only the highest standard of customer service to match our technical expertise. Stop in, or give us a call today and let us know how we can help you. Come as a customer, leave as a friend! Turn to MKL Motors for all your auto repairs & vehicle maintenance needs. Check out the rest of our site for to view our reviews and video testimonials and also visit our Facebook page to view some of our recently completed projects. We look forward to the opportunity to serve you.